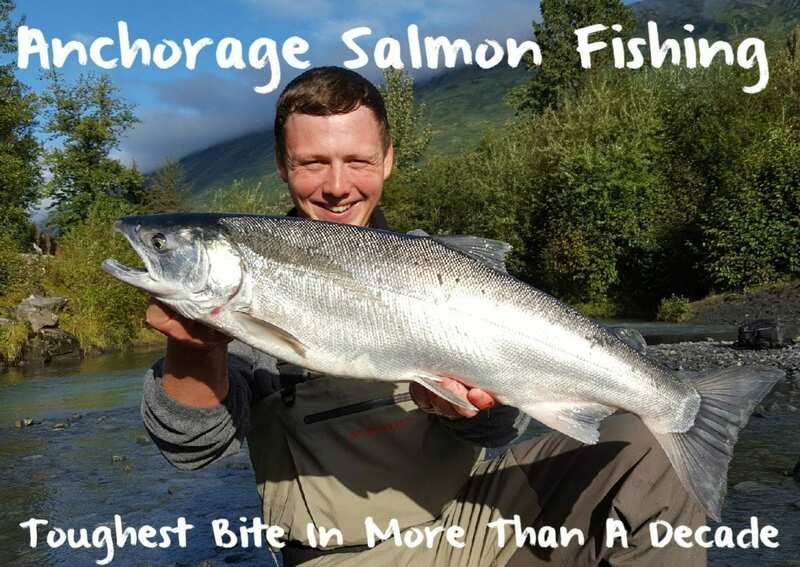 August normally brings epic silver fishing in South Central Alaska. We planned a trip months ago in hopes of filming several episodes of Pautzke Outdoors to showcase the state’s phenomenal late season silver salmon runs. However, salmon fishing within two hours of Anchorage is frustrating at best right now. Our guided trip to the Mat-Su Valley was cancelled. Ship Creek, which normally allows Alaska locals to get in on the action is brutally slow. We spent a few nights walking the bank and saw two people catch salmon in five hours on Ship Creek (one was a snagged fish). This weekend’s guided adventure to the Talkeetna River was also called off due a lack of fish. 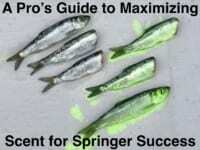 The long established outfitter we had teamed up with warned us of embarrassing catch rates. We even called Rust’s Flying Service and tried to book a flyout to film catching silvers where less pressure is found. They admitted fishing was snail slow, at best, and didn’t want to take our money. We walked several miles in local Anchorage streams within city limits and saw few salmon. Normally, they are loaded. There’s a major problem in the region and not many can answer what’s going on. Sure, the silvers could simply be late. Meanwhile, commercials still aren’t getting enough fish to bring hope. The reality is when guides cancel trips, outfitters urge you not to come and a flying service doesn’t want to guarantee any fish will be around if you spend $1,500 with them to get there we know fishing isn’t good. We learned long ago to always tell the truth when it comes to fishing reports, even if it’s not positive. The truth is silver salmon fishing is terrible in the greater Anchorage region (and radio fishing reports in the region point to the Kenai not being much better). Prince William Sound isn’t faring better. Our two-day trip there today got cancelled due to extremely low returns. On the other hand, some people are catching a few fish, but far from historic numbers. Even the liars aren’t catching anything. Thursday morning we drove 30 minutes from Anchorage to a small Cook Inlet tributary to target silvers. Reports were that this system was seeing a few silvers, but not many. We hoped we could catch enough to film something. At 4:30am when we arrived a few locals had limits on the bank and had almost fished out the hole. (The limit is two and two snaggers had spooked the rest.) We fished until 9am and did manage nearly a half dozen. 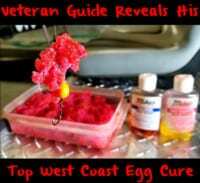 Our success came on two baits: Natural and Pink Fire Cure eggs. Normally, catching 20 per angler is attainable during that time here. This is one of the few positives we’ve found. Even popular Bird Creek is seeing almost no fish. Historically, silvers are caught well into September and hopefully more fish show. Meanwhile, word is that more fisheries will be closed due to unprecedented low numbers. Please check with the Alaska Fish & Game for updated bag limits and closures. As poor as returns are there will likely be emergency orders.